Whuddup guys, so yeah, the #1 Most Comprehensive Amazon Learning Course out there is open for a short time (they only open it for enrollment briefly twice a year). Registration closes Thursday May 3, 2018. So what's the deal? And why am I sharing this? Well, this would be it. It literally did change my life so I would feel bad if I didn't share the news. And they only open it for registration a few days per year, and apparently it closes May 3rd.... So that's why I'm writing this long post from Bangkok, cuz there's life-changing value on the table right now for someone. Here's my quick story to provide context. In 2014, Parker and I came to the Drop Ship Lifestyle conference in Chiang Mai, Thailand, with a struggling dropshipping store, in hopes of making our 'travel and make money online' dreams come true. That's when we met Kai, from New Zealand. He had recently forked up a few thousands bucks to buy a course about Amazon selling, and he was already crushing it on Amazon! Making $5k per month profit within 3 months of getting started! It was the ASM course, "The Amazing Selling Machine"... The highly touted course that teaches Amazon selling – how to find a profitable niche, how to create a product, how to source that product in bulk in China, and how to launch it on Amazon and get continuous sales every day. Well this was the course that, well... changed the course of our lives! Crazy .. deciding to pivot from drop shipping and getting the ASM course is what allowed me to be writing this to you 3.5 years later in a cafe in Bangkok. Yes, it was ASM that catapulted us onto the path of launching a product that has been making $4,000-$10,000 per month profit, consistently every month for the past 3 years. In the past 3 years, as you may know, I've been living in Thailand while running my Amazon biz w/ my best friend Parker, while taking multiple trips per year, to a total of 24 countries. And a chunk of the channel has turned into answering your Amazon and online hustle questions... and understandably so! Because before you can start 'LivinThatLife', whatever that means to you, you need some sort of online income! 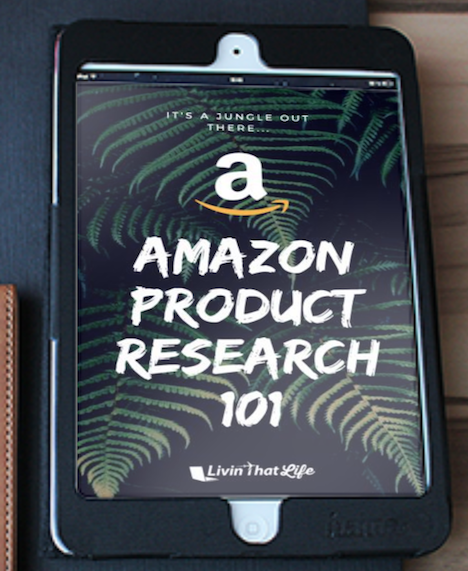 Whether that's creating a physical product and launching it on Amazon, or creating digital products like Kindle Ebooks or online courses, or freelancing on Upwork, or even just figuring out how to work your current job remotely! So if you have already been looking into Amazon and decided that it's the business model for you, and you're looking for a coaching program to 'hold your hand' through the entire process – it was brought to my attention that the new version of the ASM course is opening in the next few days – so I had to share this email. It literally changed my life so I would feel bad if I didn't share it with you. ...to help you make sure your investment pays off AT LEAST 10x.. I really wanna see people be smart when it comes to the product – because I've launched a handful of successful moneymakers, and a handful of flops... so I've learned a thing or two about what works and what doesn't. So! The first 5 people who sign up thru my link and contact me, here's what I'm gonna offer: 1-on-1 coaching. I will give you. Not just one, but THREE free 1-hour 1-on-1 'sit down' advising calls with me (I charge $297 for one), where you can pick my brain about whatever stage you're at, and I'll share my honest thoughts and suggestions. Just send me an email beforehand with a breakdown of your situation first. ...I have 3 years experience in the Amazon marketplace game (a potentially life-changing game), so sharing my personal advice based off my experience is the most value I can provide people at this point in my life. Anyway ... I Highly recommend watching the links below if you're ready to get serious – ESPECIALLY if you want to rake it in for Holiday Season 2018, you have to get started NOW, like, April. It can take up to 6 months or more to choose, modify, source and launch a product. Watch these videos: there a great starting point. Oh yeah, I will ALSO answer your questions and give you honest feedback, via chat, twice per week. Aka twice per week, I'd be willing to have an in depth chat conversation with you via messenger. IMPORTANT THO: The course DOES CLOSE on May 3rd at 11:59PM PST. Yes, it closes down. That's how they do it. Make sure you sign up before then! (but if you don't have at least $5,000 to invest in a Real Business, don't even bother... watch this video on some other online business models) (yes this is a real business.. I could sell mine for over $200,000 right now if i wanted to... and we put in an initial investment of $2,000 for 200 units, 3 years ago). My Mom AND my little brother even have their own Amazon products, making $800/mo and $2000/mo profit respectively. I’ve read quite a few ASMX reviews and one thing I find in common is that people who probably are too new or at an unsuitable level for the complexity of an ecommerce program of this caliber are the ones complaining that it isn't a good program. Thanks for your review that highlights the value in the course, and explains clearly the ideal candidate who will find it helpful.